Has starred in numerous commercials (i.e. “Mister Donuts” and “Washlet”) and movies (i.e. 200X Year Sho” since his youth. 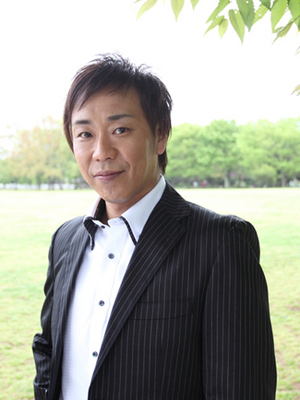 Tsumabuki began his activity as a singer in 2003. Using his tall stature, dynamic expressiveness, and vocal proficiency effectively, he won the 2004 rookie of the year award at the “Shadan Houjin Nippon Kashu Kyoukai Shourei Sho” with the song “Wakaitte Subarashii”. His award acceptance was broadcasted on TV Tokyo and other networks, which attracted attention of the public and lead to his CD debut in 2007 as a candidate for a “new star”. His kind, cheerful attitude, reminiscent of “the boy next-door” accumulated good response from the pubic. He is popular with men and women of all ages.